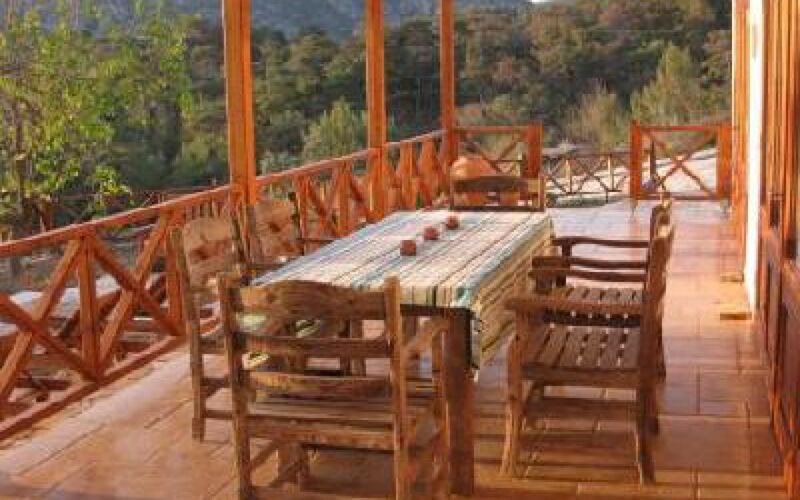 Keci Evi is a fully restored single storey private village house set on the hillside above the village of Gokbel ten minutes by car from Dalyan. Finished to a high standard, Keci Evi accommodates six in two double and one twin bedrooms all with en suite shower rooms, air conditioning and private terraces. 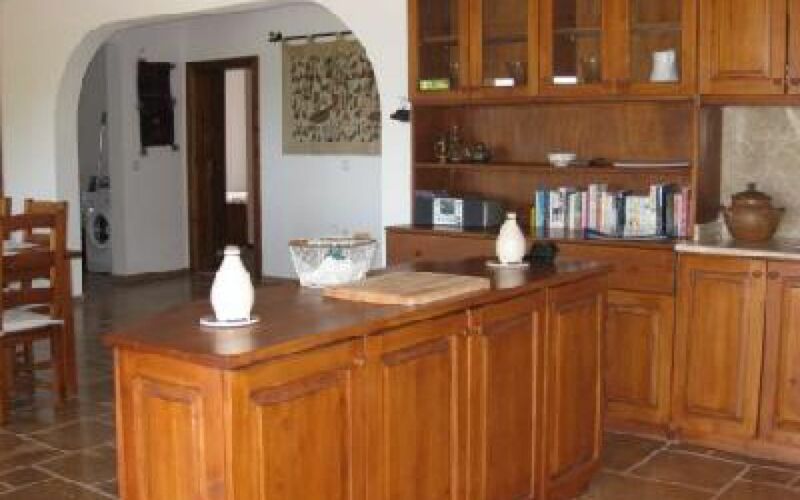 The traditional open plan living area includes a fully fitted kitchen with modern appliances, dining and lounge areas. All have double doors which lead onto the veranda. From here there are magnificent far reaching views across the swimming pool, over the lake, sea and mountains beyond. The perfect place to unwind and relax whilst watching the sunset over the sea. 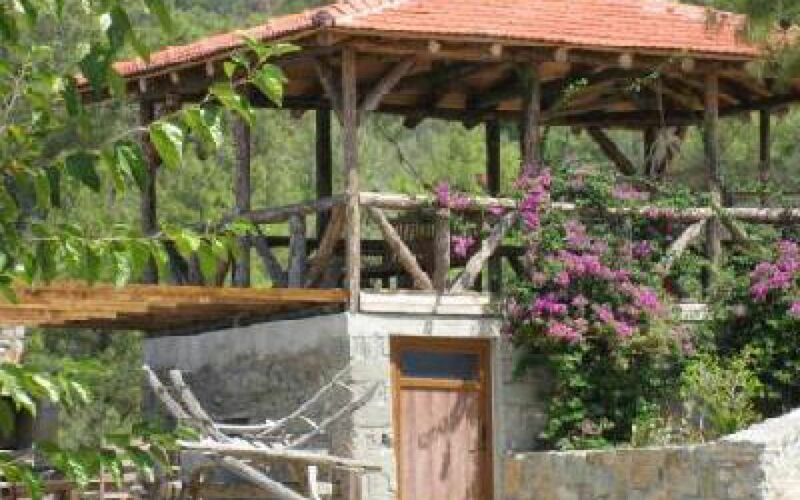 Prices include one return transfer from Dalaman airport which is a 30 minute transfer time. Bedding and indoor towels are also provided but we do ask guests to provide their own outdoor towels. A car will be needed as Keci Evi is situated in a rural area. This can be arranged through our agent in Dalyan who will deliver the car to you and who will look after you during your stay. The cost of this will be paid locally by guests. Keci Evi is strictly a non smoking house. we also ask guests to remove their shoes before going inside in line with Turkish custom. 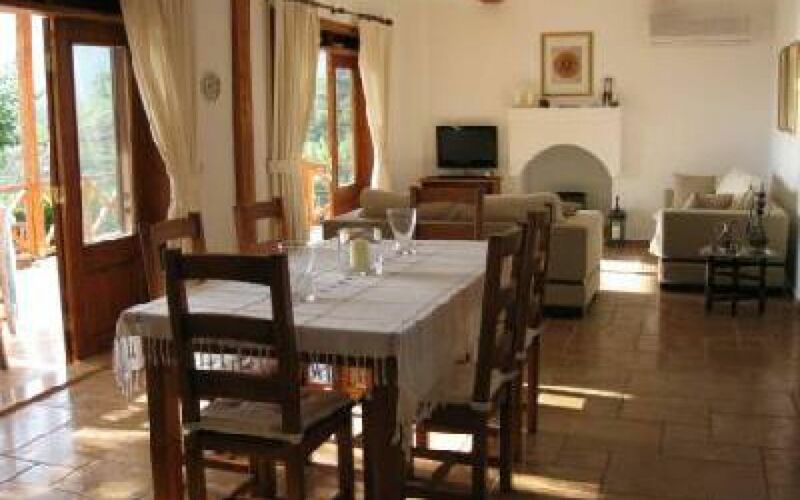 You may like to consider a two centre holiday by staying at our other villa in Dalyan. 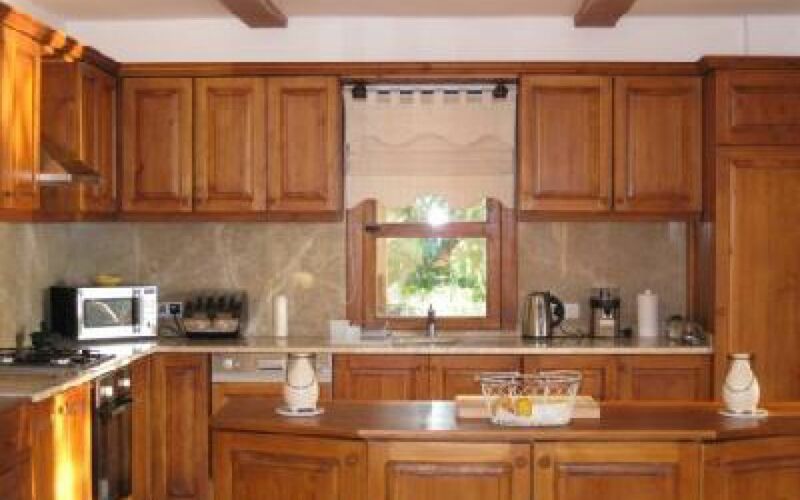 You can view villa Hatira on the Oruc travel web site.